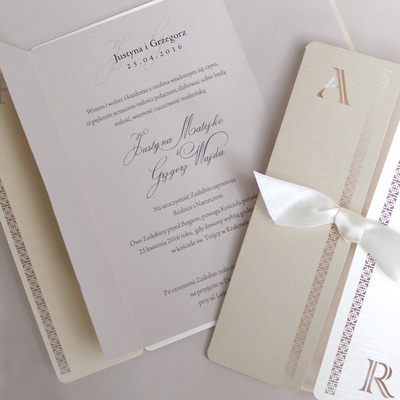 The invitation is made from metallic ecru-coloured textured paper. The cover of the invitation has laser cut delicate pattern. 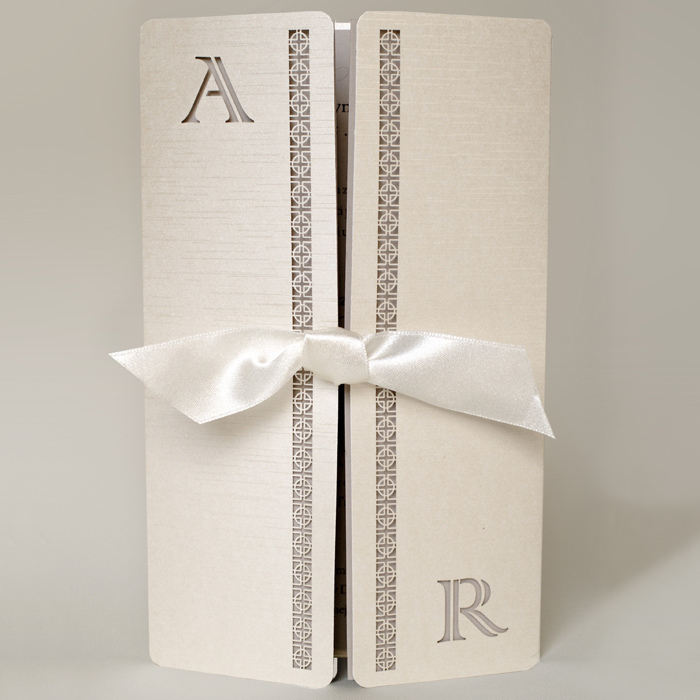 The initials of the bride and groom are cut on the cover. 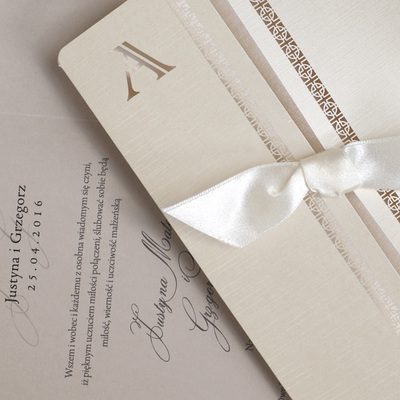 A satin, ecru-coloured ribbon adds charm to the invitation. The insert for printing is beige matte. The invitation is made with great care and attention to detail. Precise printing, careful execution, and high quality paper.